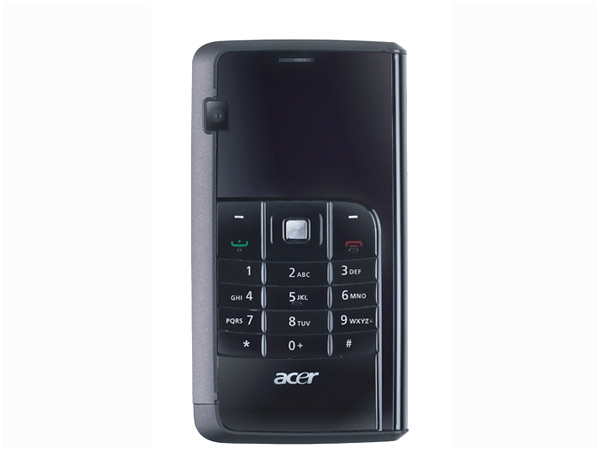 The Acer DX650 is a dual sided phone from Acer featuring one side having looks of communicator and the other side featuring a normal sized phone keypad. The company tries to appeal out to users who use their phones a lot for calling purpose and still want more out of their phones wishing they could have another phone. The handset stands at 109.6x59x15.6mm and weighs about 133g. 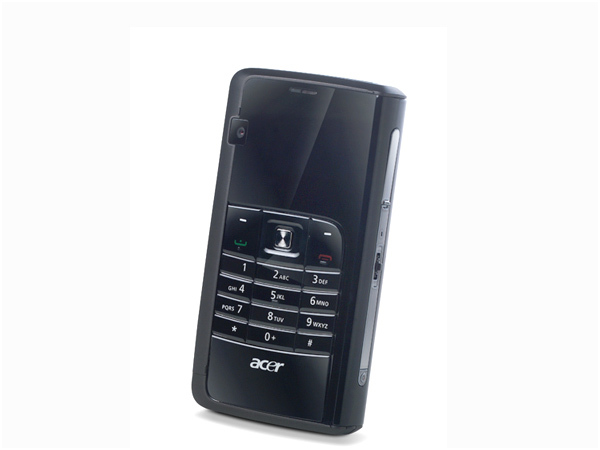 The design of the handset looks outdated and there's nothing new that the handset appeals apart from its dual sided design. 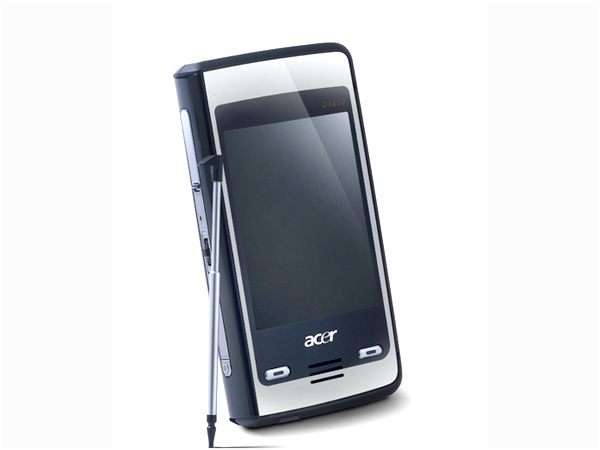 Though the phone looks bulky, the phone easily fits in regular sized pockets without any difficulties. 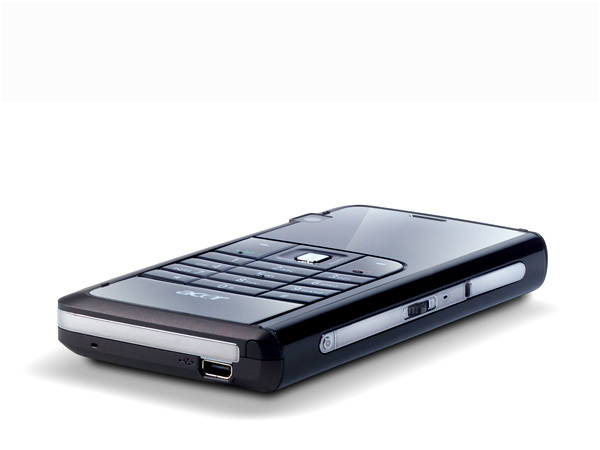 The top of the phone features a small call speaker and the left side includes a slot for SIM card insertion and a jog wheel that allows for scrolling. The first display on the screen is the standard 240x320 pixels resolution touch screen whereas the secondary screen is the smaller monochromatic LED display. The touch screen is better navigated with a stylus rather than finger on the interface which is the Windows Mobile 6.1 Professional. It includes standard Microsoft Office and also comes along with a image viewer. There is FM radio and GPS support included on the phone too. The camera on the phone is a 2 Mega Pixel which is able to shoot images with a highest resolution of 1600x1200 pixels. The camera supports auto focus and has a decent amount of settings which can be adjusted such as white balance, color modes and so on. It is also capable of recording videos at 15fps. The GPS on the handset is the SiRFstar III chip and is good on tracking and locating. Unfortunately the phone does not come with any navigation software and the end user has to install the software on his behalf. Under the hood the phone includes a Samsung S3C 6410 533 MHz processor and does a fairly good job with the application run time and there are no lags found. On the communication front the phone is a tri band supporting EDGE/GPRS and Wi-Fi. Sadly there is no 3G on the phone but the Wi-Fi should make it up for it. Overall the phone is an average design handset with no special features sported. The design needs a bit of work but it should be a good one for end users looking out for something different in the market to get their hands on.